Since the above is simply a demonstration of how one can represent a Markov Chain, we will run a simple simulation with some sample probabilities and look at how the states of the system look like in the long run. 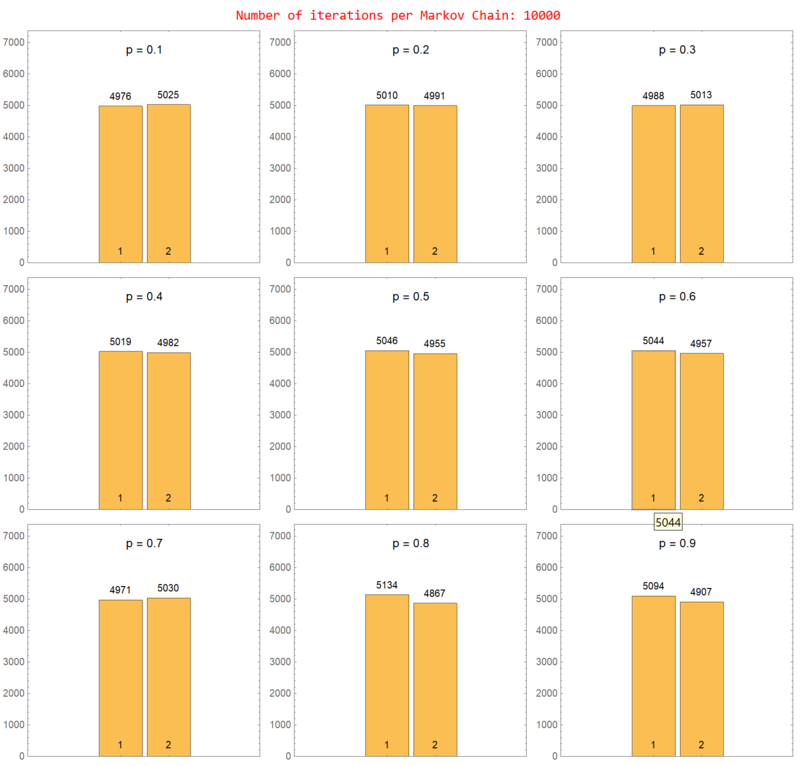 Note how the bar charts show the same counts of for both the states for all the probabilities. This is due to the diagonal symmetry of the matrix.